Thanks so much for stopping by to check out our website! If you’re hungry and lookin’ for a place to chow down, head over to our menu, hours and location. And if you’ve got a little time to spare, kick back and peruse our site. It’s full of information about our history, food philosophy, values, community, special events, and a bunch more. Even better, come on down to Paudash and see what's cookin'. Join us for breakfast, lunch or dinner - maybe try one of our always changing board specials. 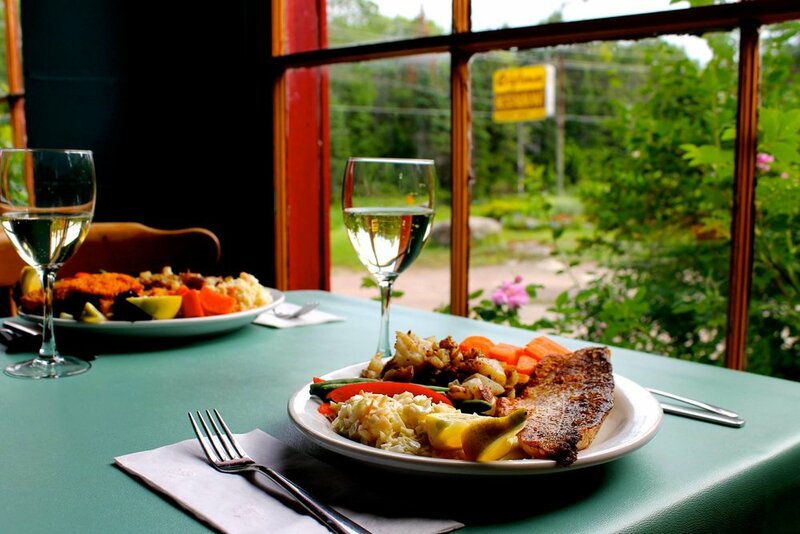 We're just a short drive from Bancroft, on Hwy 28 South. Come see why The Craftsman Restaurant has been a favourite spot for locals and visitors alike for over 30 years. 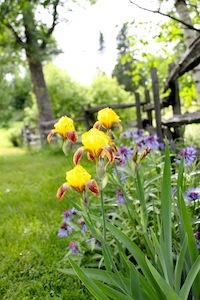 Enjoy a meal, a hot cup of organic fair trade coffee, and check out our gardens and antiques & collectables. We look forward to seeing you here real soon! 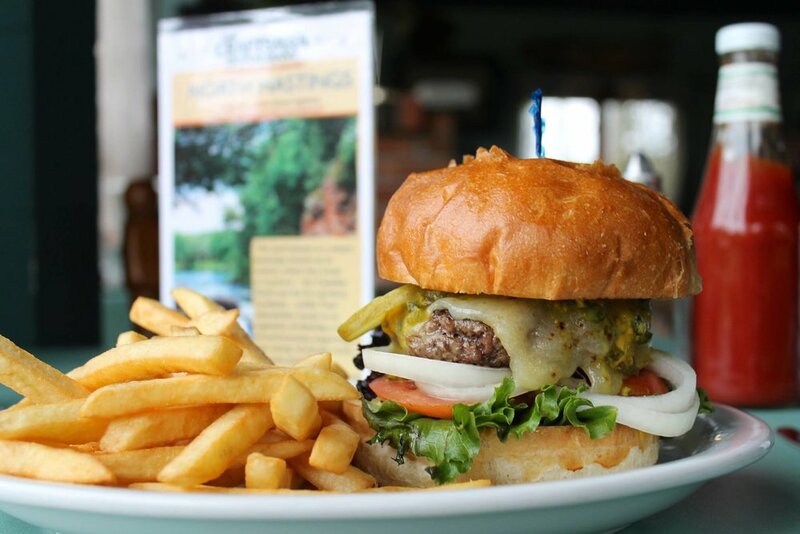 If you're looking to fill your tummy with something yummy....you found it here at the Craftsman! We like to keep busy in the kitchen preparing wholesome comfort food. Chef Jim likes to keep it interesting though too, with his special flare of eclectic country cooking, with ever-changing daily and weekly blackboard features. 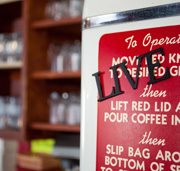 If you're looking for a place that is just everyday comfortable, real, friendly, local....that's us! Stay in the know by following us on Facebook and Twitter. We regularly post about what's cookin'. You won't want to miss this! It's here. Our last week. Jim, the heart of the kitchen, has spent hundreds of mornings chatting with guests, often the same guests, day after day, and week after week... Long before the internet and facebook were even invented, the Craftsman was the place where people in the community would come to visit, connect, share, and laugh. The food has always been great, of course, but it was just one part of the larger recipe. The other ingredients have always been friendliness, inclusion, a great staff that are more like family than employees, and a focus on being real. We know, from all the messages, cards, gifts, comments, and hugs throughout the years that we’re appreciated. But as much as you appreciate us, we appreciate you, even more. Thank you for bringing us your business over the last 32 years. Even more, thank you for your friendship, and for contributing to our small town community. Every year for the past few years we've said, "oh, this is probably our last year open. It's just about time to retire." The winds of change have been whispering to us for some time, but now they've gotten loud enough that we can't ignore them any longer. We're retiring. It's true. But like so many things in life it's a process. Because the Craftsman hasn't just been our job, or just been our business. No, no, it's been so much more: it's also been our home. Our staff and regular customers feel like family. We've lived here on the property for over three decades. We have roots here that run deep. While we've been eyeing retirement for some time now, it hasn't felt right to just up and leave. We LOVE the Craftsman, and moving on is hard! So what does it all mean? What now? The short answer: we're not really sure. The longer answer: we're waiting for a sign. Welcome to North Hastings! The best place EVER! There's something magical about North Hastings - the rolling hills, clean air, dense forests, sparkling lakes and rich minerals come together to make one of the most beautiful places in the world! This place rejuvenates the soul, instills a sense of peace, and lifts the spirit. No wonder so many creative and interesting people choose to spend their time here. We feel so privileged to call North Hastings home, and welcome you to come see why. There is nowhere else we'd rather be than right here in Ontario's beautiful cottage country. Known as Ontario's Most Talented Town, and the Mineral Capital of Canada, Bancroft is an incredibly vibrant hub for the area. See it for yourself right here. By Melanie Chambers, Published by The Spoked Traveller — Ramona stares out the window and pauses before answering my questions about The Craftsman Restaurant that is going on 26-years-old in December. It’s a cottage country institution and she’s ruminating about how things have changed since the beginning. (Located on highway 28 South in Paudash– the small town just before Bancroft). Breakfast: smoked salmon burrito with capers and homefries. Drool. Guess what!? We’re feeling pretty darn special this week. We’ve been featured in the July issue of EnRoute, the official magazine of Air Canada! That’s right, the next time you’re thirty-five thousand feet up in the air you can read all about little ol’ us. Talk about exposure; the magazine has a readership of over a million people per month. Yup. You read that right: a million!